NRC environmental-impact report favors PSEG's early site permit bid in N.J. 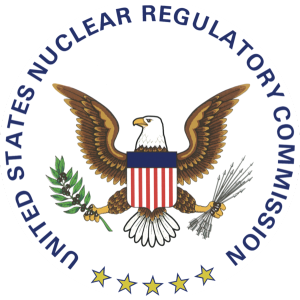 The U.S. Nuclear Regulatory Commission (NRC) said on Monday that the NRC and the Army Corps of Engineers' Philadelphia unit have completed their Environmental Impact Statement (EIS) for an early site permit application by Public Service Enterprise Group (PSEG) Power and PSEG Nuclear for a site in Salem, New Jersey. The NRC said any environmental impacts from the project would not rule out the granting of the early site permit for the site,near the existing Salem and Hope Creek nuclear power plants in Salem County. The Atomic Safety and Licensing board will hold a hearing regarding the permit application to determine whether the environmental and safety reviews warrant the granting of the site permit. The environmental report consists of information gained from consultations with agencies at the local, state, federal and tribal levels, as well as public comments. Should PSEG be awarded the early site permit, it would be valid for 20 years, during which time, the company can seek an NRC license to build and operate a reactor on the site. The environmental report said no preferable site were discovered during the review process.